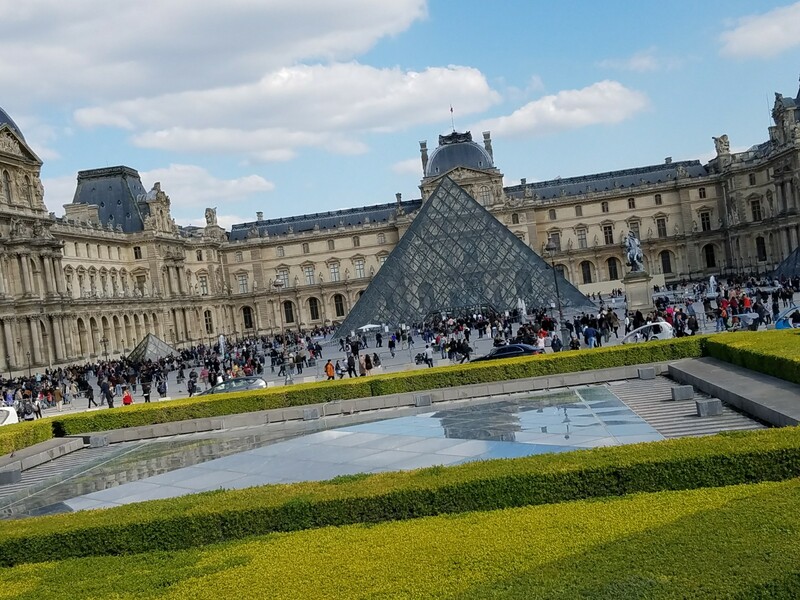 Kim here, 1/2 of 2 Girls Who Travel, and this first trip abroad in 2017 encompasses my visit to three very different cities: Paris, France; Rome, Italy and Amalfi, Italy. We’ll share all the details in a series of weekly posts. We’ve got lots to cover on each city – food, monuments, travel tips, hotels and even transportation. 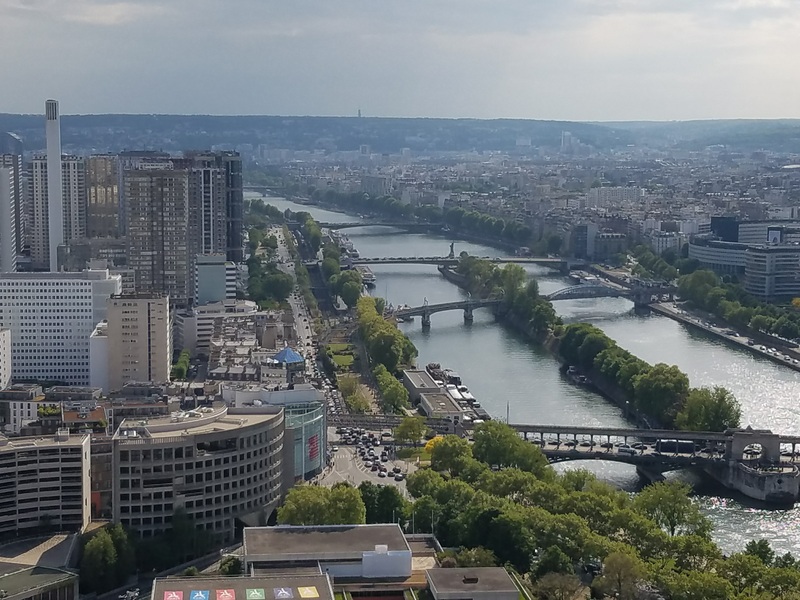 Let’s start with my first stop, the very cosmopolitan city of Paris. 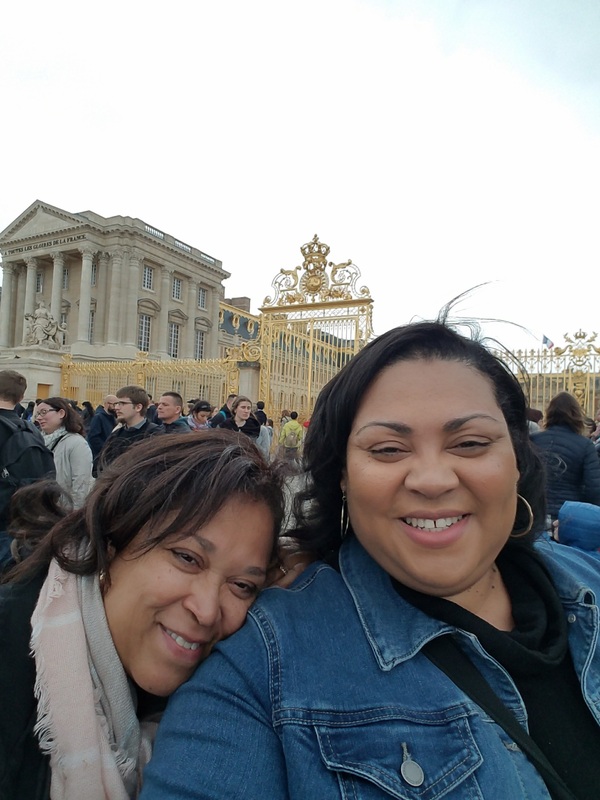 I roped my sister Gloria into this trip with me (Val had a huge work conference – think oil and gas OTC week). 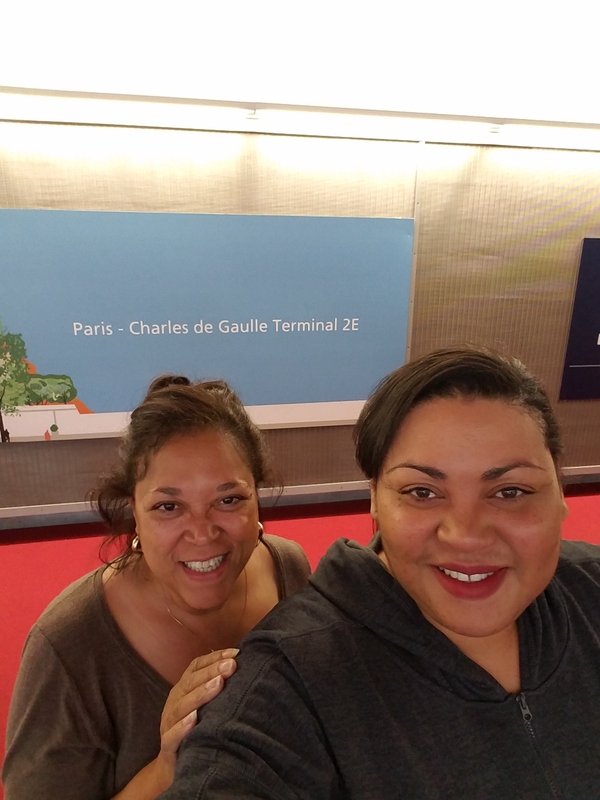 Neither of us have ever been to Paris and decided that carpe diem (or seize the day) was our trip motto. 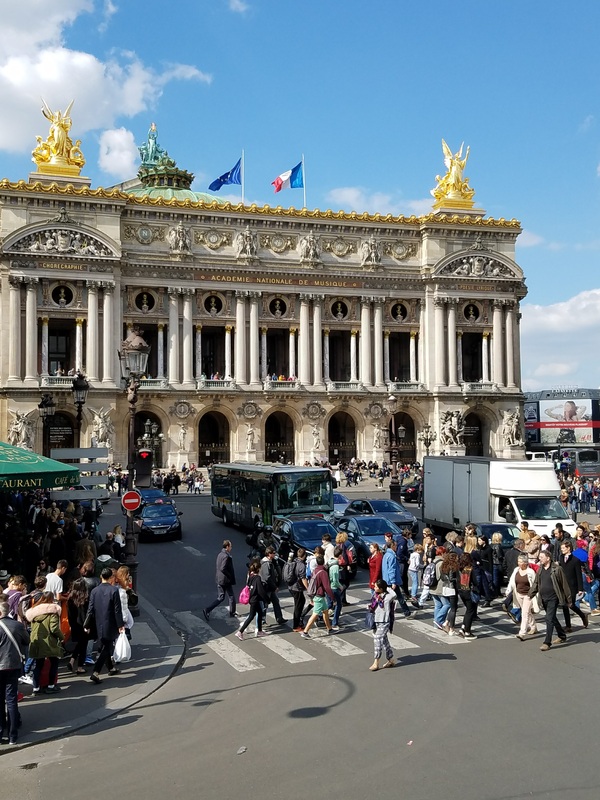 After spending this time in Paris, I’m in love – with its museums, shopping, cafes, architecture, monuments and of course the people! Let me first say that Paris cannot be adequately covered in just 3 days. A week wouldn’t be enough time and I’m seriously doubting 2 weeks would suffice either! 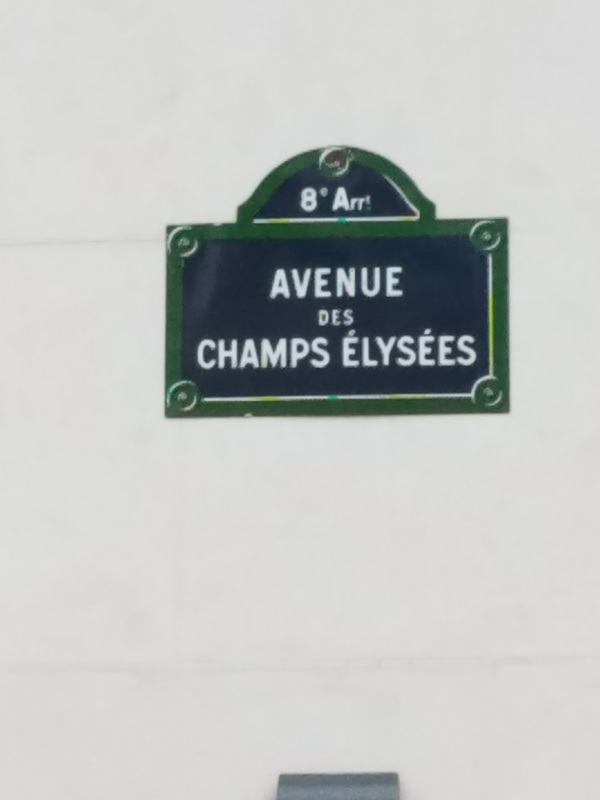 So in 3 days time, I wanted to immerse myself in Paris as best I could. This may be a little long (even after breaking this into a series), so please forgive me in advance. 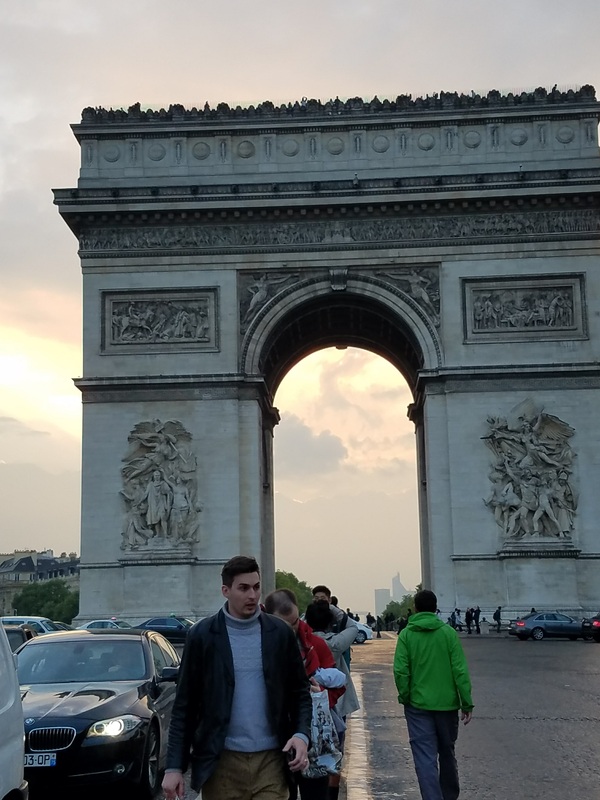 I want to give you all the details, tips and inside notes so that you can plan your own trip and enjoy it as much as I did mine. 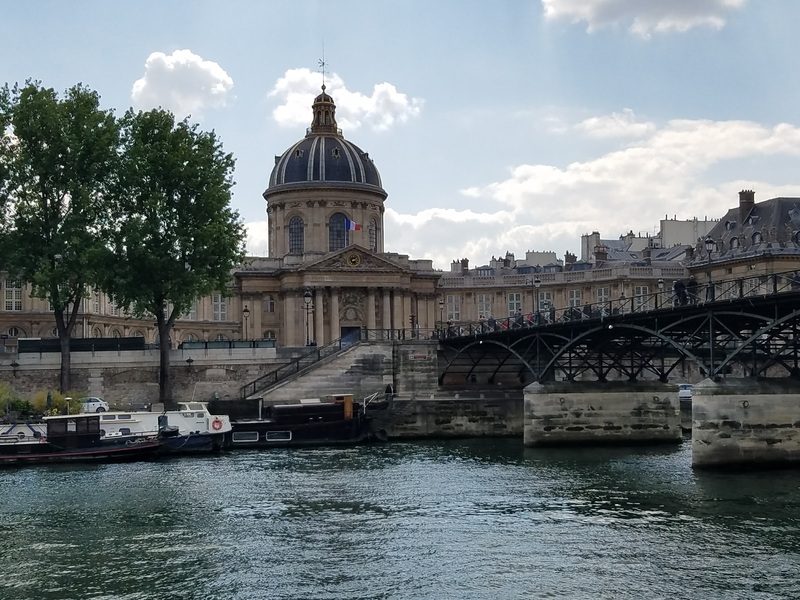 I started this journey on a 10-hour nonstop flight from Houston George Bush Intercontinental Airport (IAH) to Charles de Gaulle Airport (CDG) on Air France. Now, this was not a bad flight at all, in fact relatively short. I recently covered a few tips for surviving long haul trips here. Once we landed, we decided to get some euros (€). The exchange rate was not in our favor ($1 = 0.91€), but we expected this and came prepared to pay the price. You can exchange money once you land in Europe at banks, ATMs, the airport or local currency exchanges. 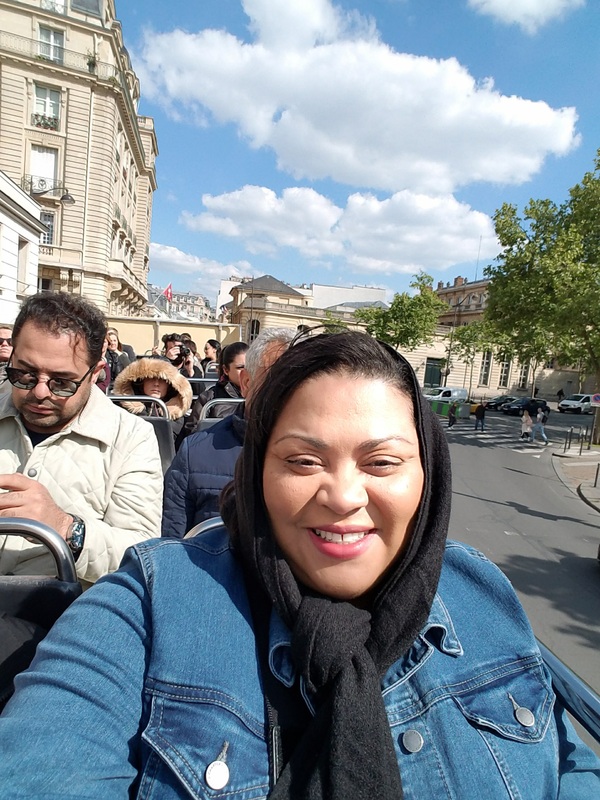 A couple of quick suggestions when traveling abroad: notify your credit card company so your account will not be flagged for fraudulent activity and be sure to check if your credit card charges foreign transaction fees. Once we had cash, we ‘queued’ for a taxi (got in line) into the city. 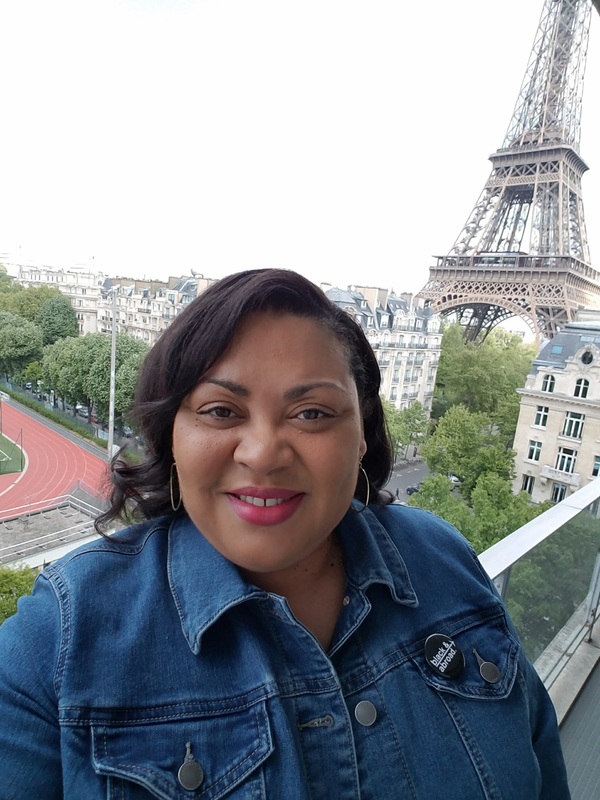 We arrived at our hotel, the gorgeous Pullman Paris Eiffel Tower and as the name implies, it was literally across the street from the Eiffel Tower. Our room even had a balcony and at night the view was Ahhhhh-maz-ing!! This hotel is highly recommended! The staff, food, service, room, balcony and views are all A+! 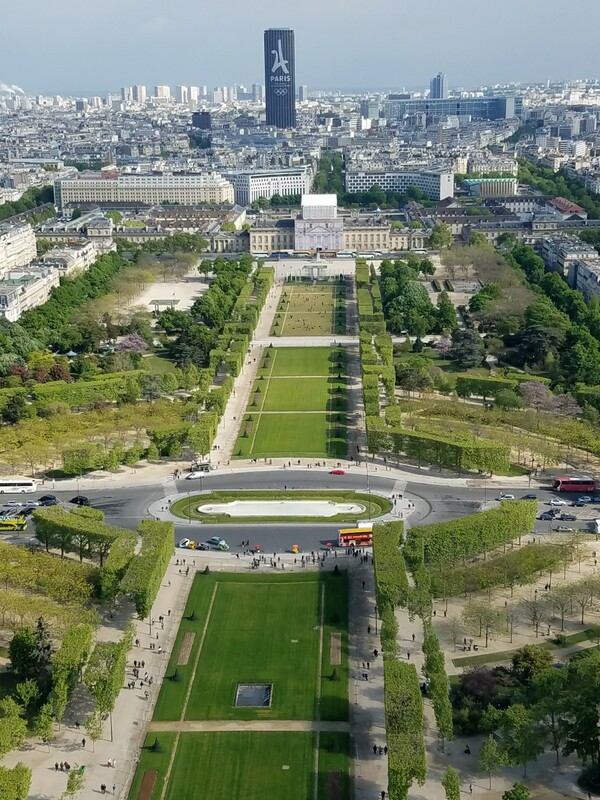 Next we decided on a tour of the Eiffel Tower. We opted to do a “skip the line tour.” Skip the line tours are definitely your friend. There are many tour companies. 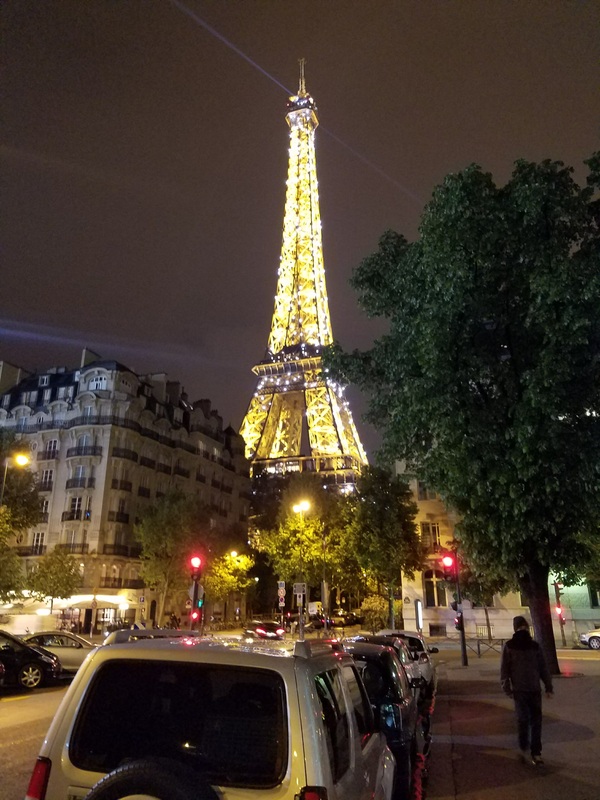 We chose Viator and purchased an Eiffel Tower Summit Priority Access with Host. Our tour guide was awesome. She showed us all the areas of the city from up high in the tower and shared the history of the city and the tower. 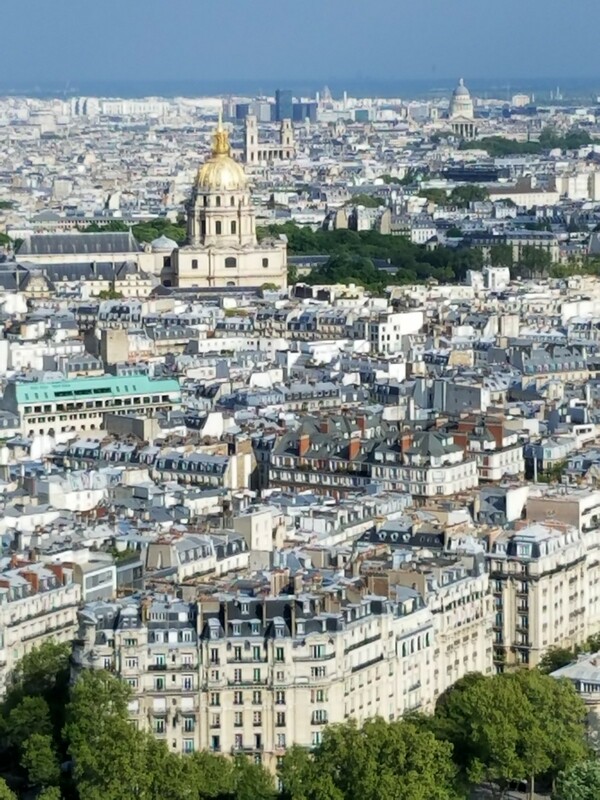 The views were breathtaking and we just stared out at the city long after the tour ended. This tour is highly recommended. Check out the views below. 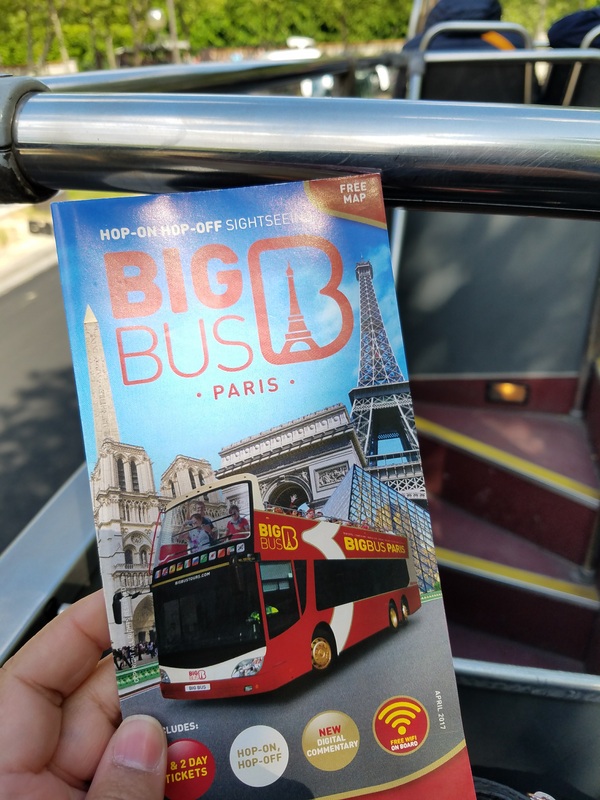 The next day we opted to do another “touristy” thing – the hop on, hop off bus. Now I’ve heard people say no and yes to the bus, but I’m saying YES – a big YES! 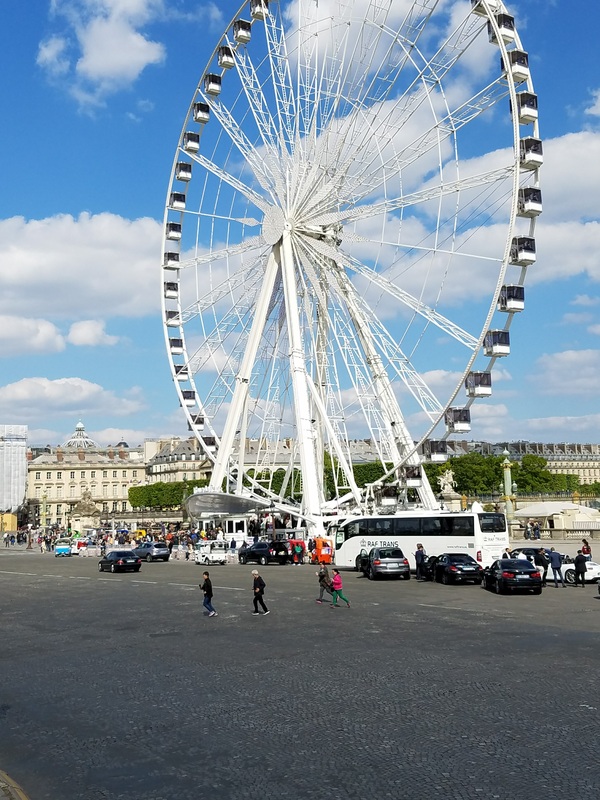 The attractions of Paris are not all in one close convenient area, so you either take a regular bus (which is fine), an Uber (which we did use a few times – for dinner and airport runs), a taxi, your feet or the hop on, hop off buses! The hop on, hop off was actually quite informative. We learned about each monument and rode on the top section of the bus for the best pictures! Check out the pics from the ride. The other item well worth it’s price is the Paris Pass. 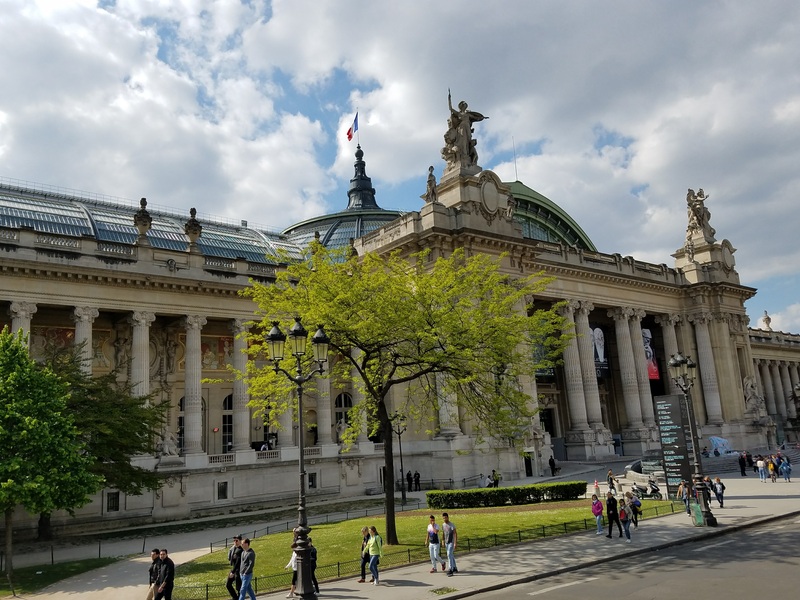 We opted for the Paris Museum Pass. 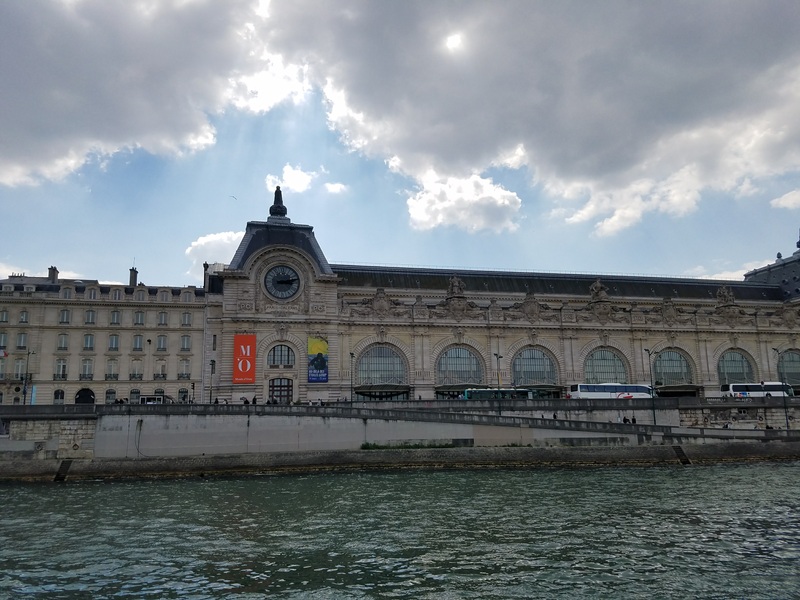 It offers access to over 50 museums (including the Louvre Museum) and monuments in and around Paris. 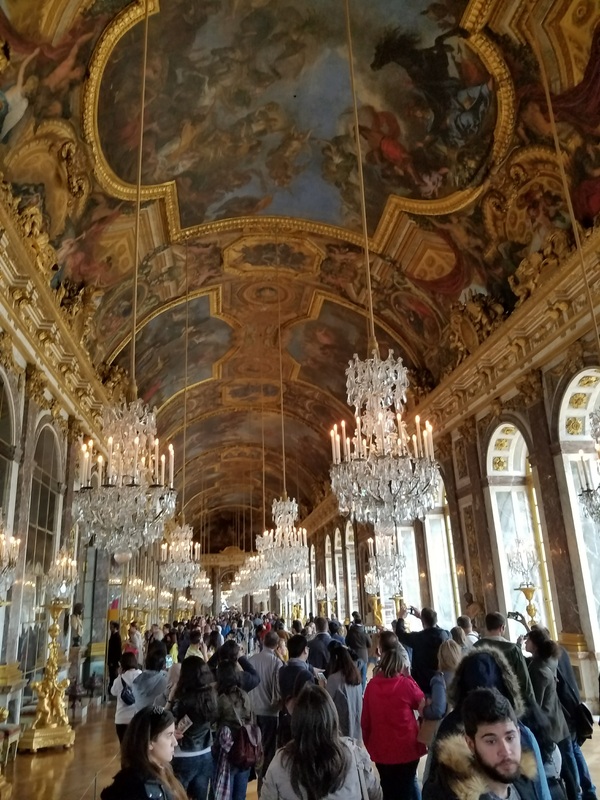 We even used this to visit the Palace of Versailles, which is about a 45-minute Uber ride outside of the city or you could also take the Metro – the most cost effective way. 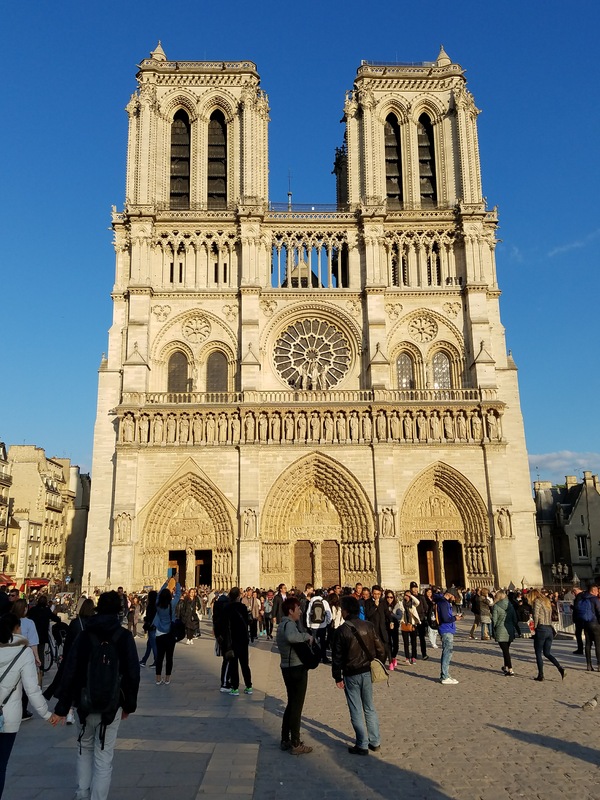 I must say one of the most beautiful and sacred places we visited was Notre Dame. We timed the visit just right to attend Mass. Now the Mass was in French, but if you’re Catholic, you probably would be able to follow along somewhat. 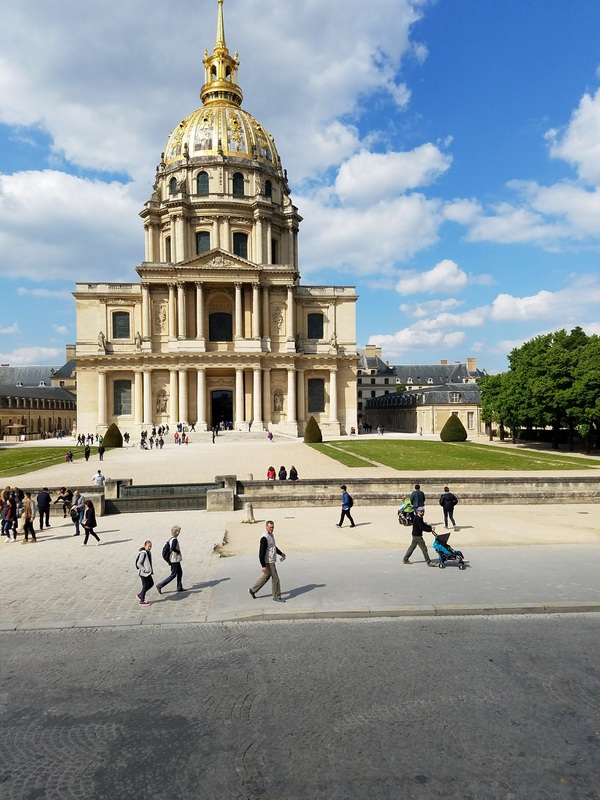 Between growing up Catholic and high school and college French, I managed to understand and follow the service. It was an awe-inspiring experience with the choir, the organ and all the diverse cultures worshipping together. 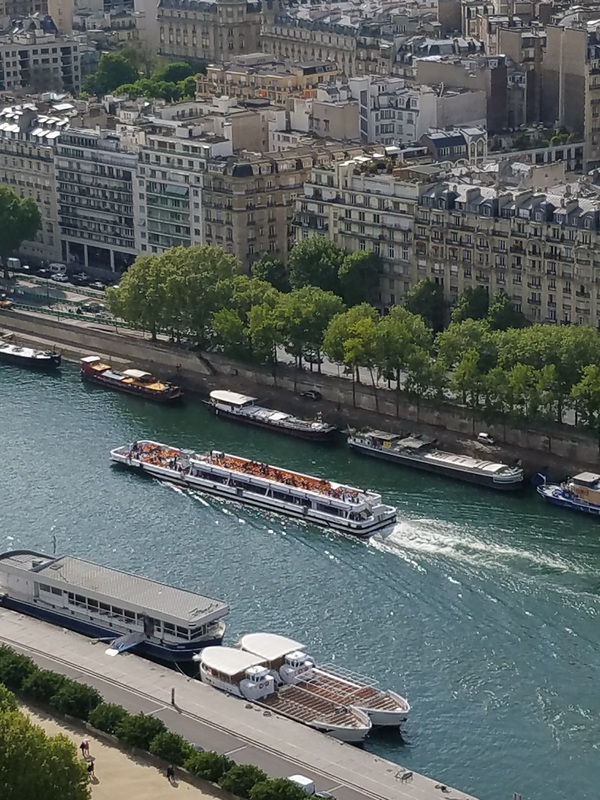 Another Paris must do is a Seine River cruise! It was absolutely spectacular. 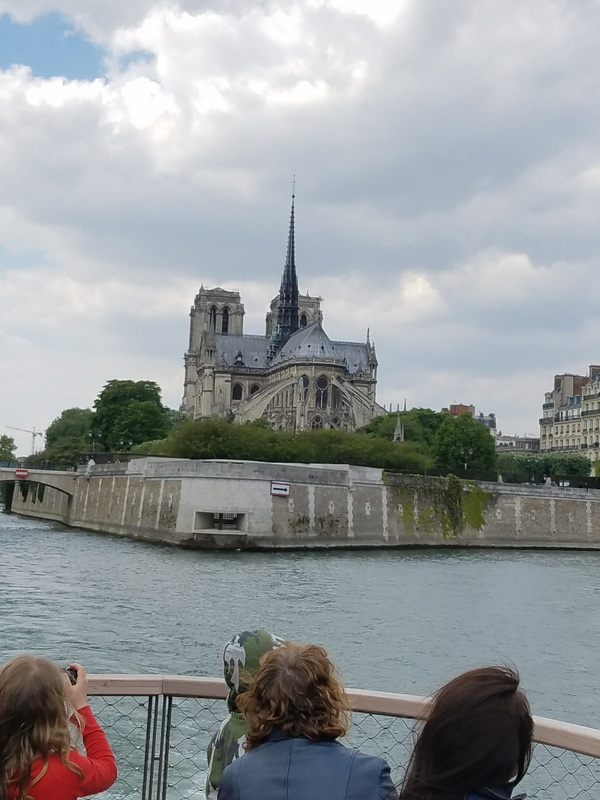 We loved this 90-minute scenic cruise. They do offer dinner and night time cruises, but loved the daytime cruise. See the pics below. 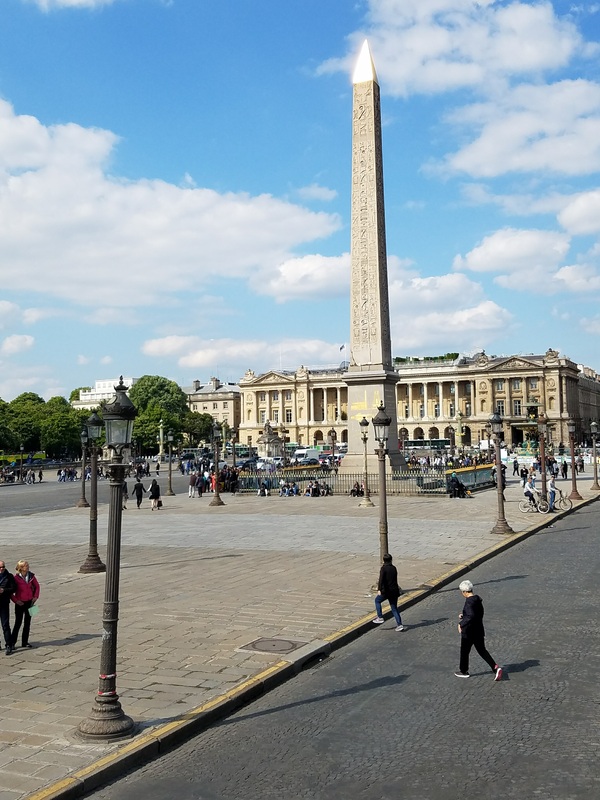 I did break up my Paris trip with a flight to Rome and train to Naples and car service to Amalfi. We’ll cover that later, but it was so worth it. Let’s fast forward to my last night in Paris (after we came back from Amalfi). 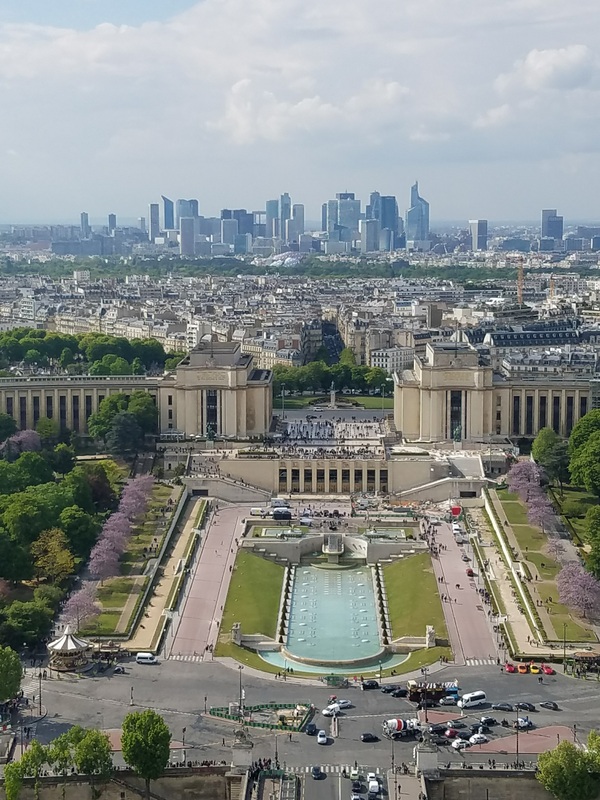 The last night in Paris was spent at the Hôtel Champs Elysees Friedland by Happyculture, a stone’s throw away from the Avenue des Champs-Élysées and the Arc de Triomphe. We enjoyed this hotel as well. The location, room and the service were great! Our room even had a balcony (you’ll start to notice – I love balconies). 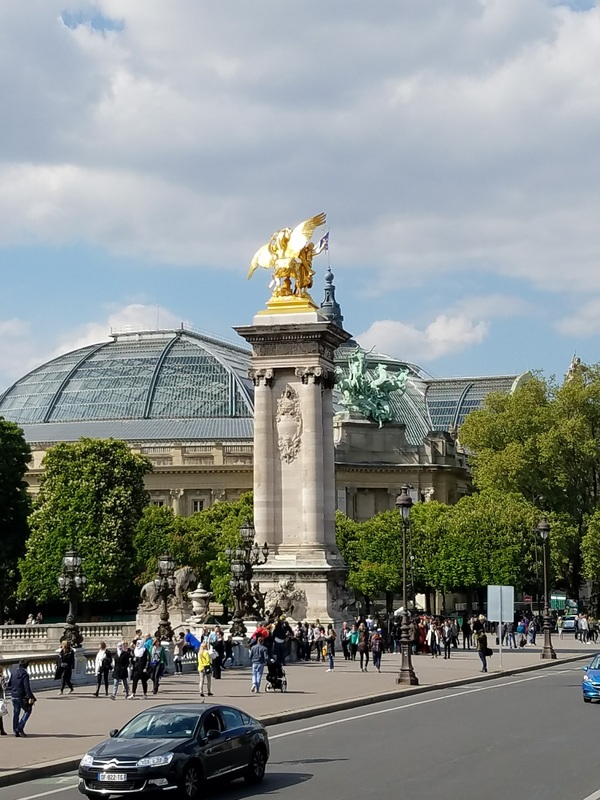 We spent the evening window shopping up and down the Champs Elysees and having dinner at a cute restaurant along the way. Whew! Are you tired yet? Lol!! 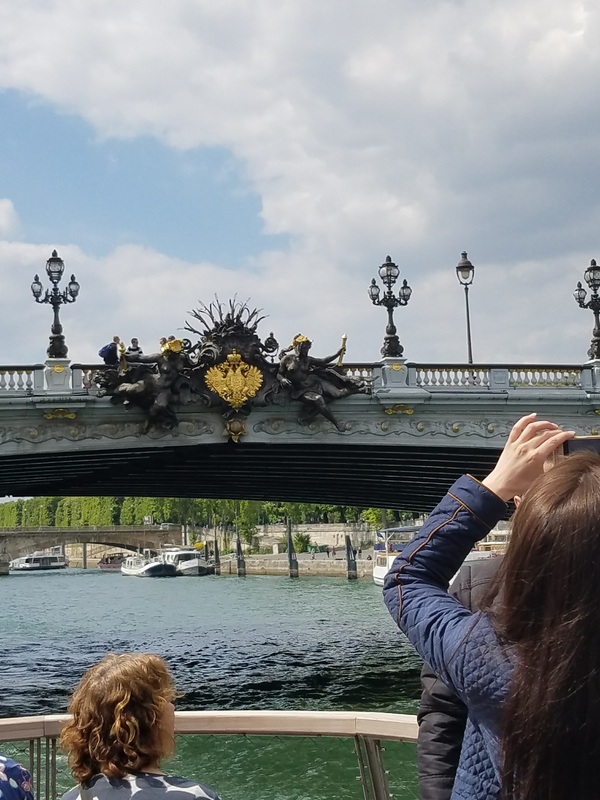 Well this was our Paris experience and we LOVED, LOVED, LOVED it! Next week, we’ll talk about the Parisian food we enjoyed. Needless to say, almost every meal had a croissant! Very very nice. This is a future goal of mine. Until then, I’ll live via your travels 🙂 I wish you many more memories and fun. Thanks for sharing your travels and joy. Thank you for reading! I’m glad you enjoyed it! I’ll have more pictures to share next week! It really was beautiful! You’re making me want to go back! These pictures are amazing! I’m so glad you guys had a good time.